Jakarta Council (DPRD) welcomes Jakarta Government's plan to continue odd-even policy by intensifying implementation on Governor's Regulation (Pergub) No.155/2018 regarding Traffic Restriction and Odd-Even System.
" 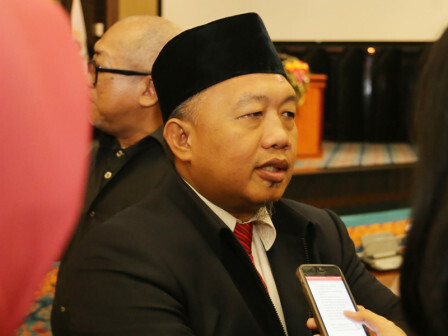 Odd-even system is applied to reduce traffic congestion in Jakarta"
Jakarta DPRD Commission B Chairman, Abdurrahman Suhaimi assessed, odd-even system can unravel traffic congestion effectively. He also considered this policy can encourage residents to use public transportation. "Odd-even system is applied to reduce traffic congestion in Jakarta. Besides, vehicle tax is also raised," he mentioned, Wednesday (1/2). Jakarta Government is also encouraged to complete infrastructure projects and repair public transportation in Jakarta. "We call a country as developed country when mass transportation becomes its mainstay, not private vehicles," he stated.